For 72 years, Canadaâ€™s Energy and Mines Ministers have come together for an annual conference. This week, they met amidst the backdrop of a stubborn downturn in global demand for many minerals and metals. More than many sectors in the economy, and more than most people would prefer, global mining has cycles where demand and prices drop, followed by a correction and strengthening. Thatâ€™s why itâ€™s important to remember that a downturn is no time to get down on mining. Even in a downturn, mining provides close to 400,000 well-paying, highly skilled jobs. It still accounts for almost 20 percent of Canadaâ€™s exports. It fuels local community economies in every part of the country, and keeps the lights on in office buildings in Toronto, Vancouver and Montreal where professionals help sustain Canadaâ€™s lead place as the worldâ€™s centre in mine finance. In truth, a downturn is when policymakers need to pay more attention to mining. To make sure Canada is on a sound footing for the moment when commodities rebound, as they always do. We canâ€™t afford to, and shouldnâ€™t, take Canadian mining success for granted. Mineral investment is highly mobile, and our country is competing with scores of others, who all want to attract mineral exploration and development dollars. Mining is Canadaâ€™s largest employer of Aboriginal Canadians, with over 300 industry/community agreements signed. Our industry believes in the full and meaningful participation of Aboriginal people in the opportunities generated by mining development. But governments must be consistent and coordinated in carrying out their duty to consult Aboriginal communities, and be clear and reasonable regarding expectations of industry. All the right intentions are in place â€“ we need practical paths forward, now. Canadians expect a regulatory system designed to protect the environment and encourage economic activity. But several years of reforms have prompted new and unintended inefficiencies. We have questions about whether departments have the resources they need to carry out their responsibilities in a timely way. Some companies find themselves dealing with situations where lead officials for the same permit change repeatedly, leading to costly, unnecessary delays. We are not seeking less regulation, just a more efficient way to get things done. A big part of the future of Canadian mining is in the north. However, the north lacks the infrastructure â€“ roads, electricity, ports, railways â€“ necessary to get Canadian products to market. Canada needs a strategic collaboration involving industry and governments to get this nation-building infrastructure in place. The right long-term thinking means using fiscal tools to facilitate private sector infrastructure investments. We know this can work â€“ we just need to decide that it matters and we should get on with it. Finally, but maybe most urgently, we need to help out Canadaâ€™s junior exploration sector, which is facing its worst financial conditions in many years. Access to capital for junior miners is extremely tight. A new approach like the Cooperative Capital Markets Regulator represents a unique opportunity to give these companies a way to find and work with a broader base of investors, by reducing regulatory burden and compliance costs. The mining sector is controlling costs and preparing for the next upswing, but good public policy is also critical to Canadaâ€™s continued leadership in mining. Federal and provincial ministers have for decades made sure that Canada thinks carefully about, and acts wisely to make sure our citizens continue to benefit from, the opportunities presented by our vast national resources. Thereâ€™s no time like the present to renew that history with some bold, and needed actions. At MACâ€™s 80th Annual General Meeting on June 17 in Ottawa, Bob Steane, Senior Vice-President and Chief Operating Officer of global uranium company, Cameco Corporation, was elected as the Associationâ€™s Chair for the next two-year term. He replaced ZoÃ« Yujnovich, Vice President of Oil Sands Operations for Shell Canada, who served as Chair from June 2013 to June 2015. Bob has been an active member of MAC for many years, holding several leadership positions. He has served on the Board of Directors and Executive Committee since 2012, most recently in the position as First Vice-Chair. 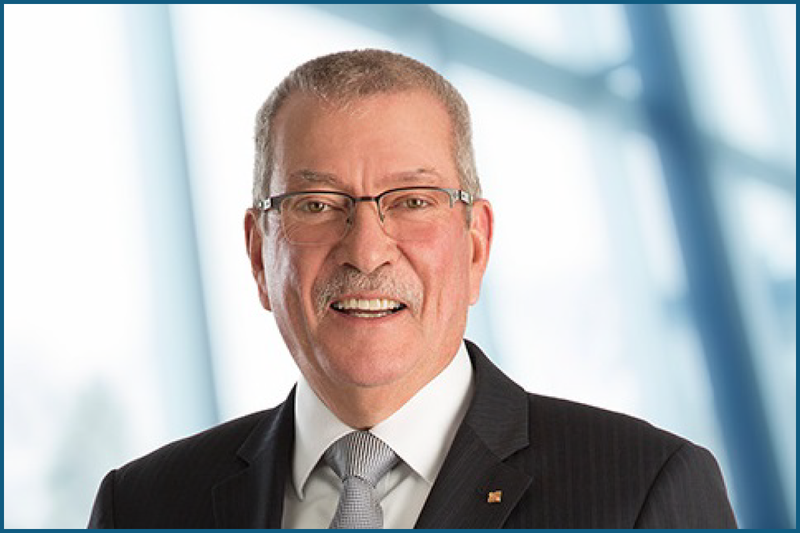 From 2013 to 2015, he also served as Chair of MACâ€™s newest committee, the Aboriginal Affairs Committee, which is focused on improving engagement with Aboriginal communities and growing the participation of Aboriginal people in mining. As the largest industrial employer of Aboriginal people in Canada, Cameco is widely recognized as a leader in Aboriginal engagement and partnership. As such, Bobâ€™s contributions as Chair of the Aboriginal Affairs Committee were invaluable. 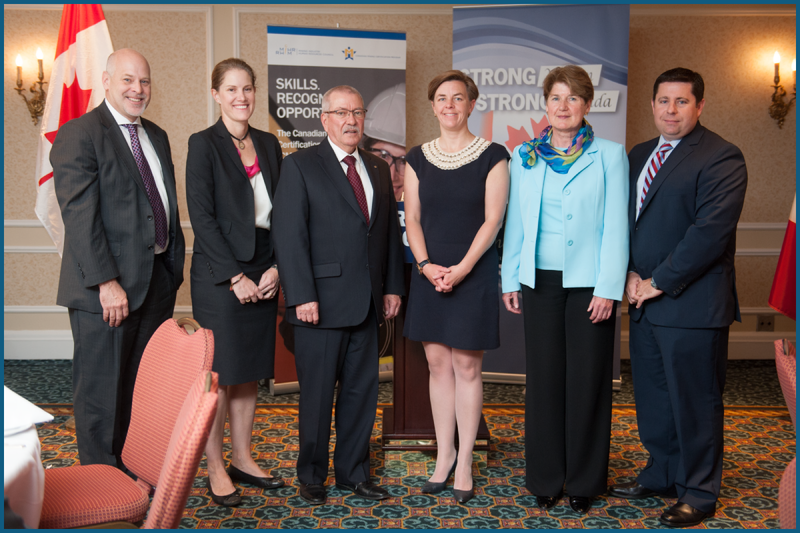 MAC was pleased to host the Honourable Dr. Kellie Leitch, Canadaâ€™s Minister of Labour and Minister of Status of Women, at its AGM in June. With MACâ€™s Board of Directors in attendance, Minister Leitch announced close to $500,000 in federal government support for the Mining Industry Human Resources Councilâ€™s (MiHR) new Gender Equity in Mining project. The project will identify and work to address the systemic barriers to women participating and advancing in mining careers. Ultimately, the three-year project will result in a Gender Champions Task Force, comprising mining executives who will identify and address the barriers faced by female employees in their companies. MiHR will also develop a suite of gender analysis and inclusion tools and resources, as well as gender-based training programs that will be shared across the industry. Improving diversity will not only add a tremendous amount of talent and skill to the industry, but it is also key to resolving the industryâ€™s skills shortage. MiHRâ€™s recent talent forecasting report estimates the industry will need to hire approximately 120,000 new workers over the next decade to replace retirees and fill new positions. Concerted efforts must be made to attract the next-generation of mining workers and to grow the number of underrepresented groups in the industry, namely women, Aboriginal people and new Canadians. Canadian mining companies are constantly innovating how they limit impacts to the environment in and around their sites. In many cases, companies are looking outside of their organization, partnering up with not-for-profit organizations to advance environmental outcomes and extend benefits to the communities where they operate. In June, Louise Grondin, Senior Vice-President of Agnico Eagle Mines Limited, presented to the House of Commons Standing Committee on Environment and Sustainable Development on this very topic. Grondin referenced several biodiversity initiatives in Nunavut where the company operates the Meadowbank gold mine. One of which includes the caribou collaring and satellite tracking program, a collaboration between the mining industry, caribou management boards and the Government of Nunavut. The program was established to provide more reliable data about the migration of caribou in the region, particularly for the Beverly caribou herd which was feared to have sharply declined. However, data gathered through the program confirmed that the herd had instead shifted its calving grounds to the north, confirming a belief held by many elders that that was the case. Since 2008, Agnico Eagle has funded $250,000 for the deployment of 25 caribou collars, has contributed $35,000 to estimate the number of breeding females and, in 2013, re-committed its support for the program for another three years. Another biodiversity initiative Agnico Eagle has undertaken is an aquatic monitoring partnership with the University of Guelph. 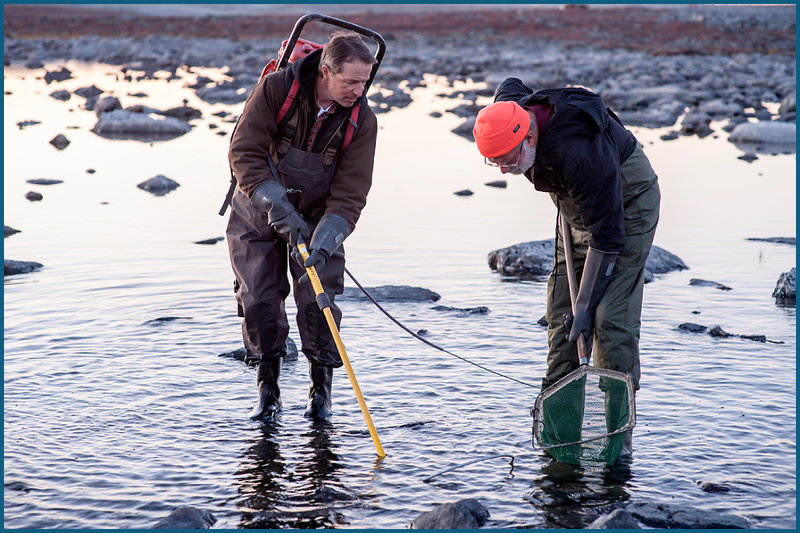 The partnership is exploring ways improve methods of evaluating fish habitat and productivity of a fishery, and will inform future aquatic ecology research in the North. In fact, the data and tools used at Meadowbank are currently being applied by Agnico Eagle and other consultants at several proposed projects in Nunavut. In her presentation, Grondin highlighted another example that shows there are opportunities to work with communities on sustainability initiatives in all areas of mining, including mine waste. In 2014, employees at the Meadowbank mine identified an opportunity to recycle wood pallets for a new purpose in the community of Baker Lake. Rather than disposing the wood pallets, they are now used by the local high schoolâ€™s shop class, where students learn wood-working skills and produce usable items such as sheds and sleds. By March 2014, just nine months after the program began, 500 pallets were saved from the landfill and reused in the community. This year, seven MAC members have made the annual Top 50 Socially Responsible Corporations list, produced by Sustainalytics and published by Macleanâ€™s magazine. New to this year, Sustainalytics used a ranking method, selecting the top companies within each of the 10 industry categories on the list. All companies were analyzed and selected by Sustainalytics based on their performances across a broad range of environmental, social and governance indicators. In the Materials category, Kinross Gold topped the list, followed by Teck Resources Limited, IAMGOLD Corporation, Goldcorp Inc. and New Gold, all of which are MAC members. In the Energy category, another two MAC members made the Top 50 list: Cameco Corporation and Suncor Energy Inc. In the Macleanâ€™s article, Kinross discussed the companyâ€™s approach to social responsibility, explaining that it is core to its business strategy and daily activities. The company focuses its social responsibility practices in five main areas: safety, energy, greenhouse gas emissions, water use and waste generation. Its aim is to manage impacts of its operations and create opportunities to benefit local communities. Kinross achieves this by implementing Site Responsibility Plans, which are executed at the companyâ€™s operations to make a difference in areas where the company mines. This approach has translated into positive outcomes at the local level. Near Kinrossâ€™ Tasiast mine in Mauritania, a 2013 survey by local sociologists found that the number of households living below the poverty line had been cut by more than half since 2011 and the unemployment rate had reduced from 47% to 24%. This progress is partly attributed to the companyâ€™s partnership with the local Bedouin co-operative, whose members received literacy and business skills training. Dominion Diamond Corporation and Diavik Diamond Mine Inc. were jointly awarded the 2015 TSM Environmental Excellence Award for their Joint Regional Grizzly Bear DNA Program in the Northwest Territories. The program is the largest in the territory and has contributed significantly to government and community tracking of bear population trends in the region. It also represents the first major environmental collaboration between the diamond mines in the NWT. Vale was recognized with the 2015 TSM Community Engagement Award for co-creating and funding the Thompson Economic Diversification Working Group. Over the course of two and a half years, the multi-stakeholder group worked to develop socio-economic actions plans that are now being implemented to spur economic and diversification in the region of Thompson, Manitoba. 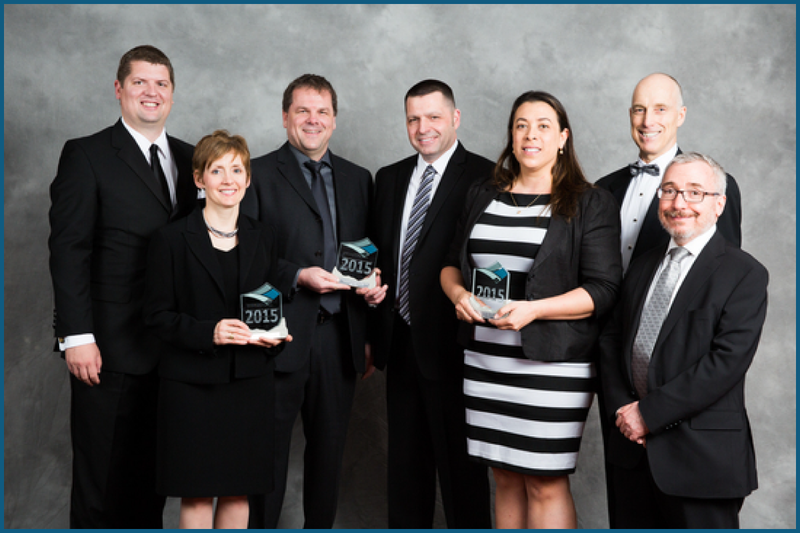 For more information about the winning projects, visit www.mining.ca/tsm-excellence-awards-2015. Photo: (Left to Right) Ben Chalmers, MAC; Carolyn Chisholm, Rio Tinto (Diavik); Lovro Paulic, Vale; Kirk Regular, Vale; Claudine Lee, Dominion Diamond; Sean Waller, CIM President; and Philip Oxhorn, member of MACâ€™s Community of Interest Advisory Panel. Jeffreyâ€™s academic achievements and his extensive work experience in the mining sector impressed the scholarshipâ€™s selection committee. Jeffrey is a professional mining engineer and has held several engineering positions at mines and coal plants in the province of Alberta. He is currently the Operations Business Manager at Westmoreland Coal Company in Edmonton, where he has worked since 2012. MAC is pleased to support Jeffrey with this scholarship to assist with the completion of his MBA. His technical knowledge and the business management skills he has honed through work experience and through his MBA program will serve him well as he continues to pursue his career in the mining industry. The scholarship was established in 2012 from the generosity of MAC member companies in memory of the late Paul Stothart, MACâ€™s former Vice President of Economic Affairs. 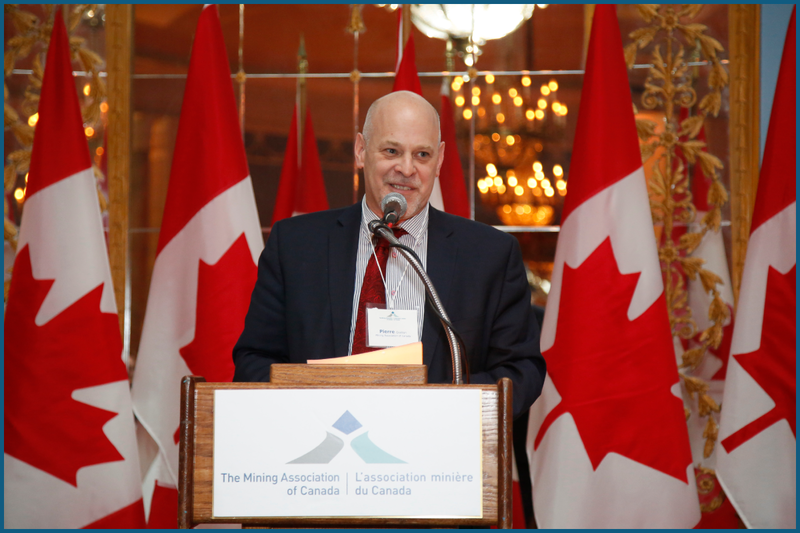 Copyright Â© 2015 Mining Association of Canada, All rights reserved.